Much like their Soviet predecessors, Russia has a history of trying to influence national elections, shape public opinions, and to divide, manipulate, and coerce large populations of people, especially those that do not support the Kremlin. Those who recall the 1998 CNN interview with Maj. General Oleg Kalugin4 (Retired KGB) may be reminded of similar Soviet goals. Following the collapse of the USSR, Russia was ideally situated to inherit the active measure apparatus from the former Soviet Union. Active measures complemented the new Russian international strategy based, on the “force of politics” rather than the “politics of force.”2 With the rise of the Internet, Russia adapted and advanced the practice. Over the last few decades, Russia used active measures consistently either in combination with kinetic warfare (as in Chechnya, Georgia, Ukraine, and Syria) or as a tool to advance another political objective. The Internet Research Agency (IRA), a troll factory that operated out of St. Petersburg is one way that the Russians have sought to control the narrative within Russia and shape public perception related to Russian activities abroad. “Trolls” have been used to manage information related to conflict and as part of an effort to influence real or perceived enemies of the Russian state. 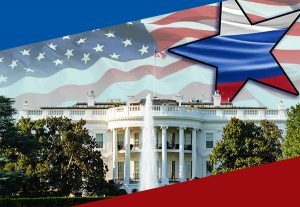 The United States responded to Russia with sanctions, indictments and there have been changes in national strategic language and approach specific to Russia. If according to the Intelligence Assessment of Russia’s activities, this is the ‘new normal, then the United States, it’s organizations and the American people will need to be more vigilant and work together to monitor, assess and minimize outside influences aimed at dividing the nation from within.